NEW YORK – A frightening recent report: an estimated 200 million Muslim girls and women alive today have been forced to go through female genital mutilation; also frightening: in America and Europe most of the leaders of the feminist movement have remained all but silent amidst this horror. There have been, thankfully though, a few exceptions. The most notable of them has been Ayaan Hirsi Ali who has become the leading voice in the fight against this attack upon the body, heart and spirit of so many. Hirsi Ali seemingly has been drawn to this fight by her own life journey. 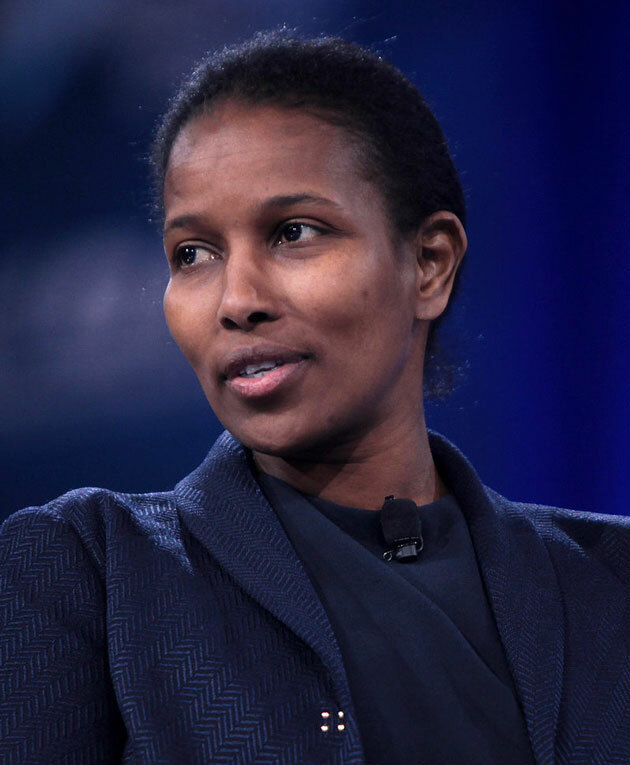 Born in Somalia 48 years ago to a devout Muslim family, Hirsi Ali at the age of five was subjected, under the consent of her own mother and father, to genital mutilation; at 20, faced with an arranged marriage accompanied by the threat that if she refused to go through with it, she would be murdered by family members in an “honor killing”, she fled to the Netherlands (also known as Holland). Ayaan Hirsi Ali speaking at CPAC 2016 in National Harbor, Maryland. CC BY-SA 3.0, Photo by Gage Skidmore. It was in that northwestern European nation, where she further witnessed the brutality of Muslim extremists. In 2004, while serving as a member of the Netherlands lower legislative body, to which even then though a recently arrived immigrant, she had been elected the year before, Hirsi Ali co-wrote with Theo van Gogh the movie “Submission”. The film depicted the violence and abuse, including genital mutilation, committed against women in many Muslim nations. As a result of the controversy surrounding the film, both she and van Gogh received death threats from Muslim extremists. These threats proved to be anything but idle: later that year, Theo van Gogh, the great grandnephew of the legendary painter Vincent van Gogh, was murdered by a 26 year-old Moroccon-Dutch Islamic terrorist. Despite threats that she would be the next victim, Hirsi Ali remained in the Netherlands for three more years, finally moving to America in 2007. Here, she has continued her battle on behalf of Muslim women, writing several books and dozens of articles on Islamic extremism, discussing her writings on radio and television and serving on a host of public and private human rights institutions and associations. In addition, she founded the AHA Foundation, an organization that defends women’s rights throughout the world. 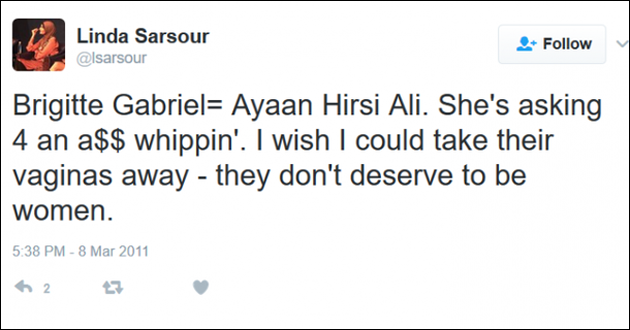 Sarsour tweeted that both were “asking for an a$$ whipping. I wish I could take their vaginas away- they don’t deserve to be women”. In fairness to Mr. Obama that is in fact an accurate description. Sarsour, 37- who was born and grew up in Brooklyn as the oldest of seven children of Muslim Palestinian immigrants and is herself the mother of three from an arranged marriage at seventeen – has, in addition to desiring to change through mutilation the bodies of Ayaan Hirsi Ali and Briggette Gabriel, wants to radically change the American legal system. Her change: to replace the American law with Sharia law. Still, there remains another major change that Sarsour has in mind. This one involves rewriting the map of the middle east. Sarsour has declared that she wants to change the state of Israel from a Jewish nation to a country that is ruled by Palestinians. 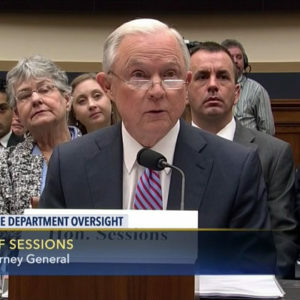 Under the Sarsour plan, Jews and Palestinians would be governed by the Jew hating Palestinian Authority, which would share the rule with some or all of their terrorist political party allies- Hamas, Islamic Jihad, Hezbollah. For Sarsour, those Jews who do not want to live under such conditions would have an option: they could leave. Such support of Sharia law and hatred of Israel and Jews seemed not to bother Vermont’s self-described socialist United States Senator Bernie Sanders. 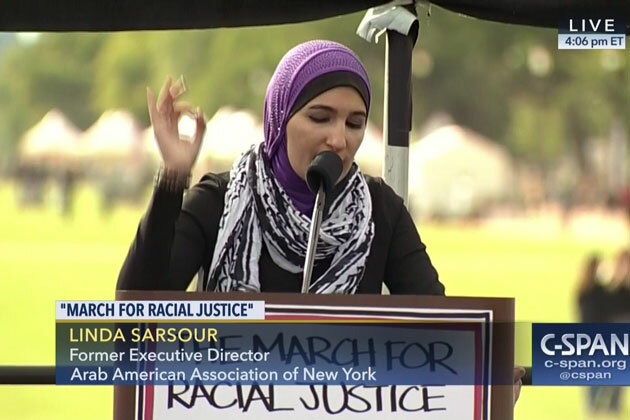 The Jewish born Israel hater, who battled Hillary Clinton for the 2016 Democratic Presidential nomination, Sanders lauded Sarsour, who actively campaigned for him during the presidential primaries, as a “working woman, racial justice and civil rights activist… a voice shattering stereotypes of Muslim women.” One wonders what Ayaan Hirsi Ali thinks of Sander’s depiction of Linda Sarsour. Nor do such sentiments appear to concern New York State’s junior United States Senator and self-appointed leader of the women’s movement, Kirsten Gillibrand. Widely viewed as a serious contender for the 2020 Democratic Presidential nomination, Gillibrand, who beginning this past year, has dramatically softened her once strong support for the state of Israel, has also praised Sarsour. 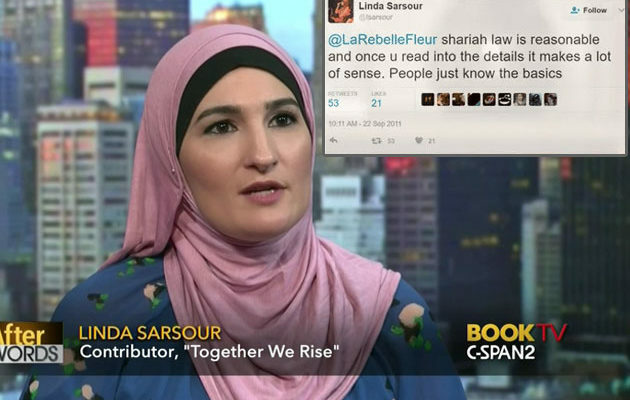 Lauding Sarsour along with three other women who organized the Women’s March on Washington, DC on January 21, 2017, Gillibrand has written, “These women are suffragists of our time.” One wonders what Ayaan Hirsi Ali thinks of Gillibrand’s depiction of Sarsour. 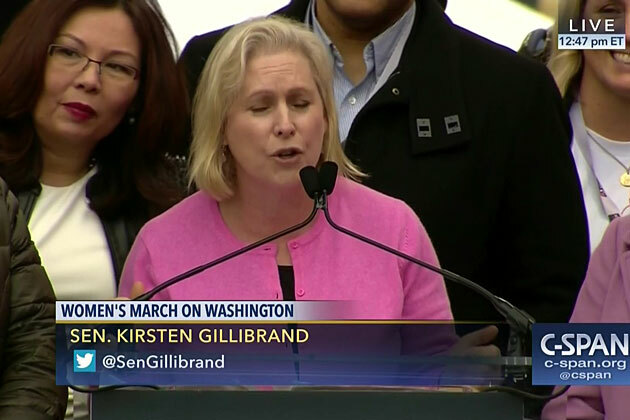 Gillibrand speaking at the Women’s March on Washington; speaking included remarks from advocates, activists, entertainers, and faith leaders. 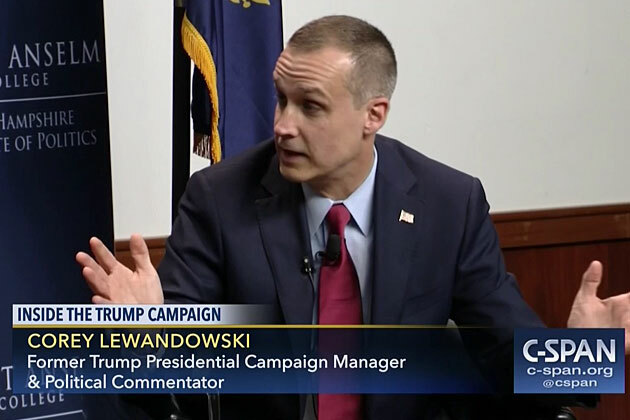 Photo credit, C-SPAN. Not to be outdone by a now former president and one former and one current presidential hopeful (as well as many other Democratic Sarsour admiring luminaries including, New York Mayor de Blasio and Minnesota Congressman and Democratic National Committee Deputy Chairperson Keith Ellison), media outlets, cultural institutions and elected officials of the left have also celebrated Sarsour. To list a few of many: The leftist leaning “Glamour Magazine” named Sarsour as one of the winners of its 2017 “Women of the Year” award. The YWCA USA at its 2015 annual Women of Distinction Awards event honored Sarsour, along with three other women, for “serving as role models for women and girls”. One year earlier, The New York City Council conferred Sarsour with its first and now annual “Shirley Chisholm Women of Distinction Award”. One wonders what Ayaan Hirsi Ali thinks of the editors of Glamour Magazine, the heads of the YWCA USA and the members of the New York City Council’s depiction of Linda Sarsour. 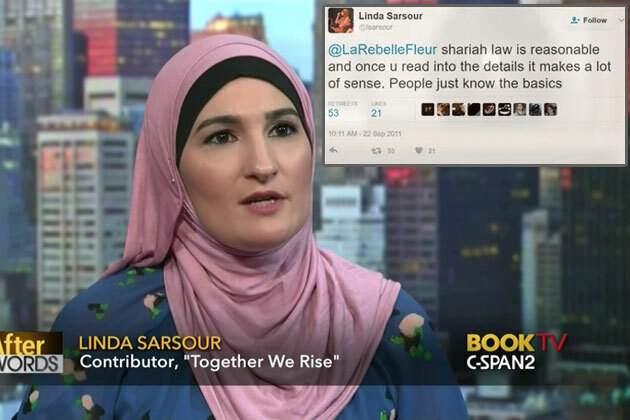 One might also wonder whether those who have praised Linda Sarsour have ever given any thought or ever felt any sense of compassion for the 200 million girls and women whose genital mutilation – through her advocacy of Sharia law – she has condoned.